The state of Nevada is mainly made up of arid desert landscape, but it is by no means desolate. Nevada is overflowing with exciting things to do and see. The state is full of scenic canyons to explore, mountain trails to hike and pristine waterways to cruise. Although Nevada is the driest state in the United States, it has no shortage of lakes and rivers in which to fish, kayak and canoe. There is plenty of snow in the winter of the Sierra Nevada for snow sports like cross-country and downhill skiing, snowmobile and snow-shoe trails. The desert areas are full of geologic formations and a unique array of flora and fauna. Nevada offers thrilling adventure year-round. Guardian Angel Cathedral– This beautiful church in Las Vegas, Nevada is home to a breathtaking gallery of stained-glass windows. The church even accepts donations of casino chips! Red Rock Canyon– This conservation area offers a 13-mile scenic drive, scores of hiking trails and plenty of beautiful camping spots. Hoover Dam– Check out this marvel of modern engineering and take a guided tour of the dam, power plant and visitor center. Cathedral Gorge State Park– Named for the tall, cathedral-like spires that surround the gorge, this park offers picnic sites, nature study, hiking trails and camping. 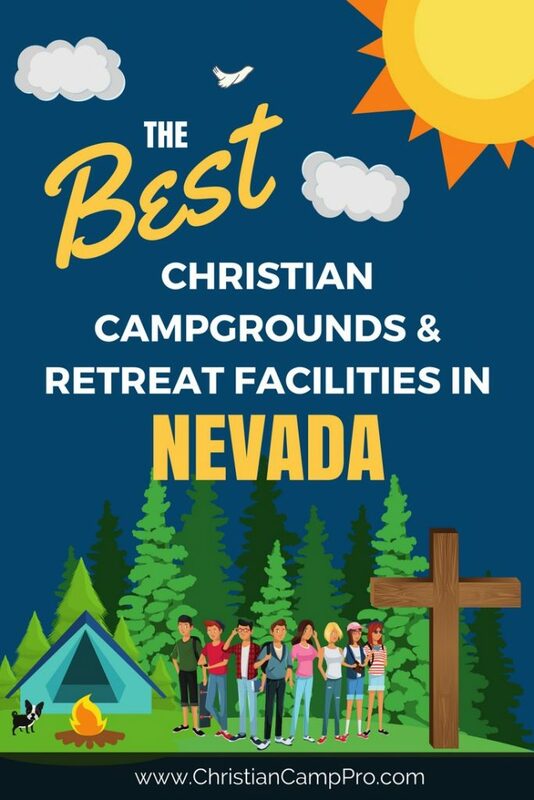 Nevada is a unique and exciting place to have a youth camp or adult retreat. With desert hiking trails to mountain ski runs, watersports on Lake Tahoe and the majestic Hoover Dam, there is no end to the adventure. Nevada offers something amazing for everyone.